There is nothing healthier than a sweat session everyday. 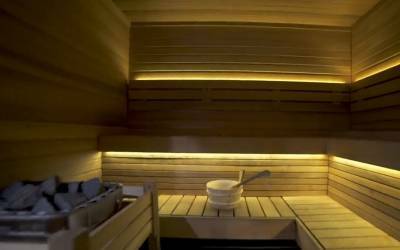 Sitting in a sauna for a few minutes a day enables your tension to fade and muscles to unwind. At Trainstation Gym, we recognise the benefits of the sauna and have included a sauna in both the ladies and men’s bathrooms. Our saunas are kept cleaned and built to be comfortable to give our members a place to relax, rejuvenate enjoy the benefits. Burns calories and makes you feel great!